CHICAGO, USA -- Relatives of MH17 crash victims have filed a nearly US$900mil (RM3.4bil) suit against the one-time leader of Ukranian insurgents over the shooting down of the Malaysia Airlines jet over the rebel-held east of the country last year. 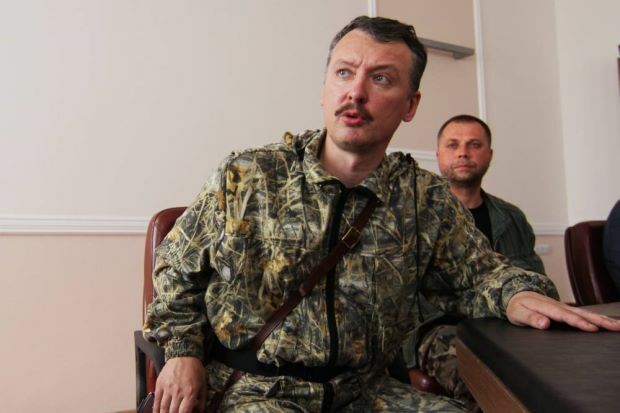 A writ filed in Chicago on Wednesday claimed that Igor Strelkov, a Russian also known as Igor Girkin, was acting with the "actual or apparent" authority of President Vladimir Putin's government when the jet was shot down, killing all 298 people on board. Relatives of 17 victims, represented by a US-based firm specialising in aviation litigation, is claiming at least US$50mil for each of the plaintiffs' loved ones. Strelkov's wife Miroslava, who also acts as his spokeswoman, said the former rebel - a self-professed Russian former intelligence agent who spearheaded the insurgency until last August and is now based in Russia - would not comment. "What does he have to do with this anyway," she said on Russian radio. Court papers filed say; "Flight 17 flew over the airspace of the area in which the aforesaid rebel army was waging its war activities and the rebel army under the command responsibility of defendant Girkin shot down the subject Boeing 777-200 aircraft. "Defendant Girkin ordered, aided and/or abetted this action and/or conspired with those persons who fired the missile or missiles." The lawsuit was filed almost a year to the day when the passenger jet travelling between Amsterdam and Kuala Lumpur went down on July 17 during some of the worst fighting between government forces and pro-Russian separatists. All 298 passengers and crew on board - the majority of them Dutch - died. Ukraine and the West have accused the separatists of using a surface-to-air missile supplied by Moscow to down the plane. Russia has denied the claim and suggested that a Ukrainian missile may have hit it. In a bid to counter raging accusations that he was personally guilty, an ashen-faced Putin recorded an unprecedented nighttime video address soon after the tragedy, urging the West and Kiev not to exploit the disaster for political gains. Malaysia, earlier this month formally asked the United Nations to establish an international tribunal that it said would guarantee an independent trial for those behind the MH17 disaster. Putin, speaking to Dutch Prime Minister Mark Rutte Thursday, said that establishing such a court would be both premature and counterproductive.